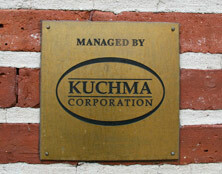 For more than forty years, Kuchma Corporation has been recognized as one of the area’s foremost open shop construction organizations. We have successfully completed numerous commercial, industrial, institutional and residential projects for many of the area’s leading institutions and property owners. Our projects have ranged in size from small to large, from one day to many months, and have encompassed all levels of complexity. More than half of our in-house labor force has been with us for over five years, and several have fifteen or more years of continuous, stable employment, which adds to our ability to provide reliable, experienced and courteous service to our customers. We take great pride in our reputation for integrity and professionalism, and work constantly to enhance our skills and performance. We are equally proud of the many positive contributions we make to the community in which we work and live through active participation in many local organizations.